State Department said that Washington had already taken "decisive measures" against individuals, including visa and sanctions actions. The US government has not reached a final conclusion over the killing of Jamal Khashoggi, the State Department said Saturday following reports that the CIA had held the Saudi Crown Prince responsible. "Recent reports indicating that the US government has made a final conclusion are inaccurate," State Department spokeswoman Heather Nauert said in a statement. "There remain numerous unanswered questions with respect to the murder of Mr. Khashoggi. The State Department will continue to seek all relevant facts," she said. "In the meantime, we will continue to consult Congress, and work with other nations to hold accountable those involved in the killing of Jamal Khashoggi." She added that Washington had already taken "decisive measures" against individuals, including visa and sanctions actions. "We will continue to explore additional measures to hold those accountable who planned, led and were connected to the murder. And, we will do that while maintaining the important strategic relationship between the United States and Saudi Arabia." 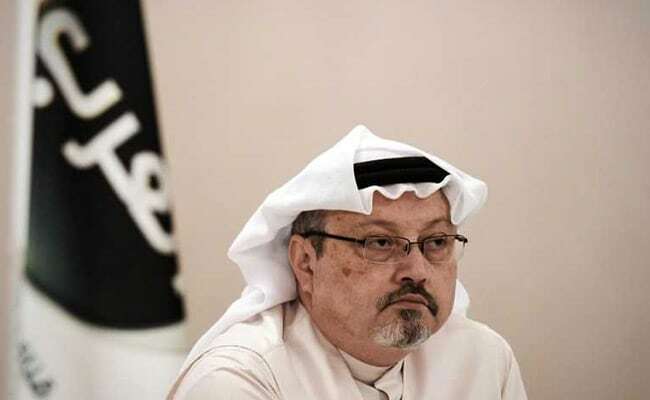 The remarks appeared to contradict reports that the Central Intelligence Agency had determined Saudi Arabia's powerful Crown Prince Mohammed bin Salman ordered the killing of Khashoggi, a vocal critic. The Washington Post, which broke the story, said the CIA found that 15 Saudi agents flew on government aircraft to Istanbul and assassinated Khashoggi in the Saudi consulate. Saudi Arabia -- which quickly dismissed the reported CIA findings -- has repeatedly changed its official narrative of the October 2 murder, first denying any knowledge of Khashoggi's whereabouts and later saying he was killed when an argument degenerated into a fistfight. In the latest version presented by the Saudi prosecutor on Thursday, a 15-member squad was formed to bring Khashoggi back from Istanbul "by means of persuasion" -- but instead ended up killing the journalist and dismembering his body in a "rogue" operation.